Ability-oriented training has become a new frontier for China's skyrocketing online education sector, even though the segment has seen stricter regulations implemented recently. In the past year, China's education authorities have rolled out policies covering after-school academic education both online and offline, aiming to reduce students' burden. But, the policies leave much room for the ability-oriented education segment to grow, said experts. The segment is expected to grow to 115.3 billion yuan ($17 billion) in market scale in 2018, up from 91 billion yuan the previous year, and could reach 171.7 billion yuan by 2020, according to a report by education investment firm Duojing Capital. Benefiting from this momentum, Chinese startups, such as online music tutoring platform VIP Peilian, are helping more users to access one-on-one tuition while playing musical instruments including the piano, violin and guqin, a traditional Chinese stringed instrument. Like Uber, which links passengers with drivers, VIP Peilian is enabling its 700,000 users to link with piano teachers. This also frees up parents, who can save the time and energy previously spent accompanying their children to lessons. "Through AI-enabled technologies, we hope to improve convenience for both kids and parents, to make every practice count," said Ge Jiaqi, founder and CEO of VIP Peilian. 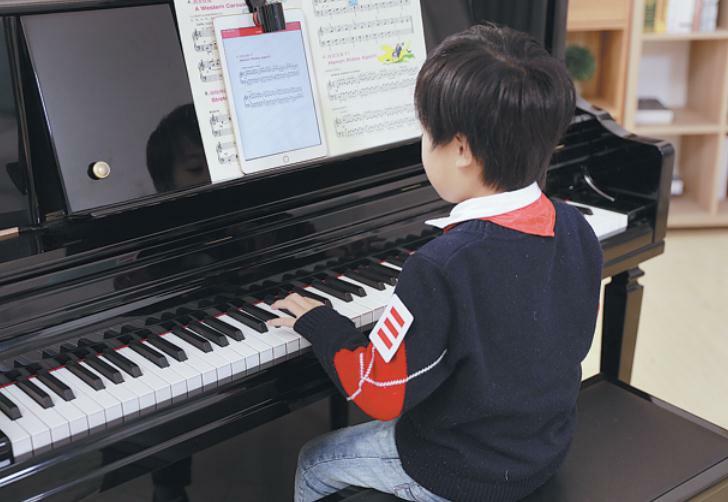 He noted that the market potential could be huge given there are 20 million to 30 million children in China practicing the piano, and that number is growing at 10 percent every year. His words echoed the company's growth momentum, as its revenue grew sixfold last year compared with 2017, with its users covering 71 countries and regions. Art education companies are also eyeing the blossoming online sector. Gan Ling, founder and CEO of Meishubao, an online art tutoring platform, said internet-based education could play a greater role in the art industry. "Unlike learning the piano or dancing, which requires consistent, boring practice, painting for children doesn't necessarily need that. Every painting class could produce a sense of satisfaction since you produce a piece every time," Gan said. "More users, including kids, can be attracted to the industry through online technology." Gan said the current art education market is experiencing a transformation, both in terms of technology and concepts, which will bring significant changes to the industry. Despite a slowdown in capital raising last year, China's ability-oriented education sector raised 7.44 billion yuan in the first half of 2018. It topped the sector by accounting for 28.9 percent of total education investment, according to a report by Big Data Research. "The future of education should teach kids how to face an unknown future," said Terry Zhu, managing partner of BlueRun Ventures China, which invested in both VIP Peilian and Meishubao in early funding rounds. Zhu said BlueRun invested in the companies because it is optimistic about the future of ability-oriented education in the online education segment. "Traditional education trains kids with repetitive content, while ability-oriented education offers them another evaluation system to better understand their value," he added. Commenting on the online business model for ability-oriented education, Zhu said: "Whether the online business can transform traditional education lies in whether companies can leverage technologies and teachers to reach the same effect online as what is achieved offline." There have been concerns among parents that practicing via online courses will not achieve the same results as in-person practice. Some also worry about the difficulties of finding ideal teachers via the platforms. "Such factors may affect online-tutoring programs' reputation or word-of-mouth recommendations, which will have a direct influence on the repurchase rate," Zhu said. "Therefore, challenges remain for these platforms, which should continue to improve both their products and services to gain a loyal user base and to achieve better results."